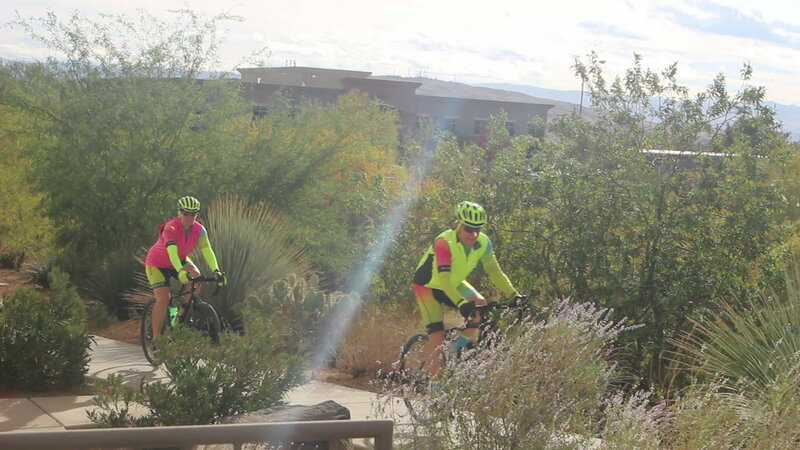 ST. GEORGE – Mayor Jon Pike formally announced to the public Friday a bike-sharing program coming to St. George, slated for launch in January 2019. “This is really a dream come true because we are thought of, and have become more of, a bicycling community and I want to promote that,” Pike said following the announcement at Dixie Regional Medical Center’s Health & Performance Center, located at the hospital’s 700 South campus. The celebratory event Friday was held at the hospital’s Health & Performance Center primarily due to Intermountain Healthcare sponsoring up to five of the future St. George bike-share stations through Dixie Regional and Select Health, Intermountain’s subsidiary for health insurance. “Our mission here at our hospital and across Intermountain Healthcare is to help people live the healthiest lives possible, and we work on that mission each and every day,” said Terri Kane, a regional vice president for Intermountain Healthcare. Patricia Richards, CEO of SelectHealth, said SelectHealth is especially pleased to be a bike-station sponsor due to the benefit it can be to people and the community. “We looked at bike-share programs in other communities around the country and found that people that use it maintain their weight or lose a couple of pounds,” Richards said, adding it also reduced car use, thus helping to cut back on pollution. 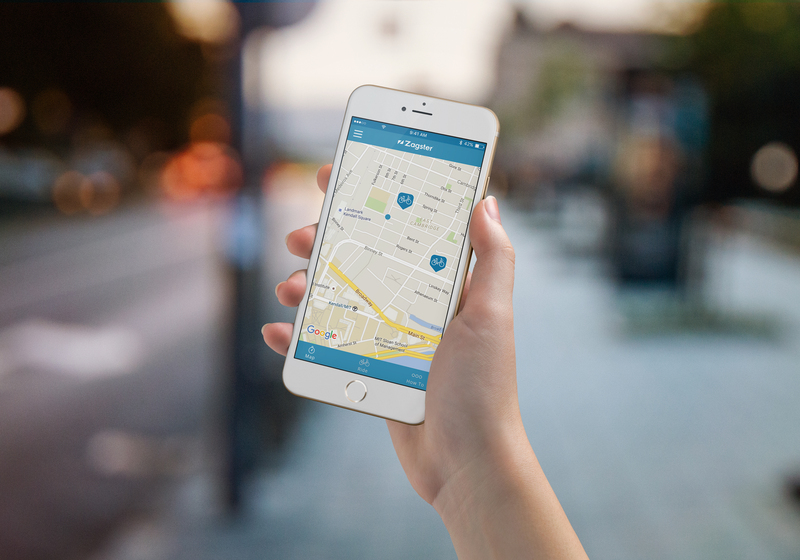 St. George has gone with bike-share company Zagster for the bike stations. In addition to the five stations sponsored by Intermountain, Pike said, another six are also being sponsored. Those sponsors are Dixie State University, Washington County Area Tourism Office, Zagster and Brad Harr & Associates injury law firm. “As soon as we saw the bike-share program, we knew that, that was something we wanted to be a part of,” Brad Harr said. While his firm focuses on injury law, he said, it also promotes public awareness of certain issues like the bike-share program addresses. Aside from that, the Harr-sponsored bike station will offer something the others won’t offer initially – a pair of tandem bicycles. The program is anticipated to start with 10 or 11 bike-share stations and 50-55 bikes. 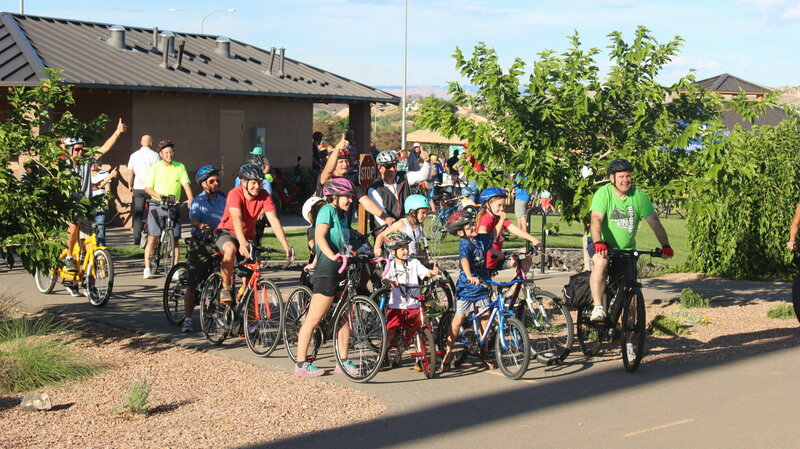 During a St. George City Council meeting in August, Support Services Director Marc Mortensen estimated program costs at $90,000 for 50 bikes across 10 stations for two years. Regular bicycle maintenance is included in the cost and managed by Zagster, which recruits local bike shops to make repairs and conduct biweekly checks on the stations. Most of the cost will be made up through the aforementioned sponsorships at $9,000-per-year per station, whether paid for by private or public entities. While it has adopted the program, the St. George city is not sponsoring any of the bike-share stations itself. The stations will be featured across the city, among them two on Dixie State University campus – one by the Jeffrey R. Holland Centennial Building, the other near the Campus View dorms. The bikes will help students get around campus, as well as help them get out and explore the community more. Once the bike stations are in place, accessing them is a pretty simple process. Bike rental rates have yet to be defined as the city is working to keep the cost as low as possible. Bikes may be rented on an hourly basis, as the program anticipates most trips will be short ones. However, offers like a multimonth pass will also be offered, Pike said, which may come in handy for university students. Others excited about the incoming bike-share program are members of the Southern Utah Bicycle Alliance. 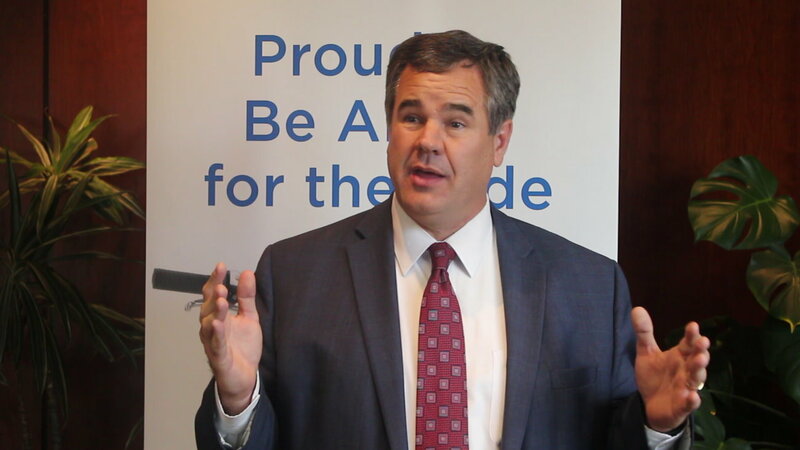 “We’ve been excited by the prospect of a bike-share program for a long time,” SUBA member Craig Shanklin said at Friday’s announcement event. The new bike-share program further plays into St. George’s reputation as a biking mecca. 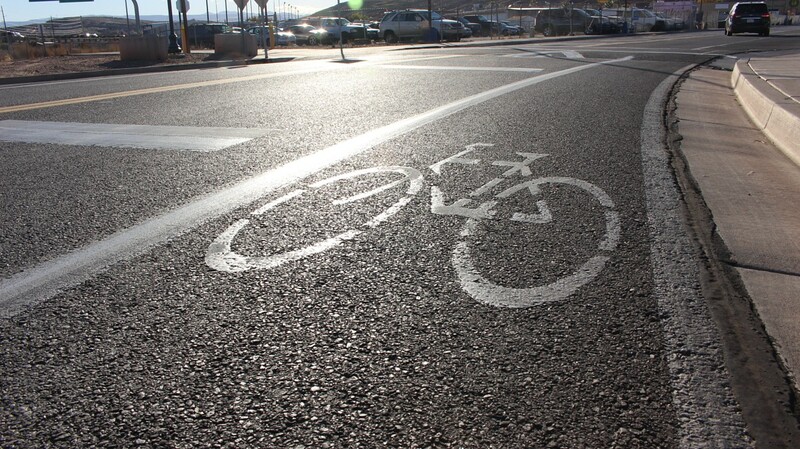 The city is a designated “Road Respect” community – a program developed by Utah’s departments of transportation and public safety to address concerns from both bicyclists and drivers about safety and the behaviors of each group on the road. Among its aims, the Road Respect program looks for cyclist-friendly infrastructure and promotion of cycling overall in its designated communities. Cycling factors heavily into the city’s active transportation plan, which oversees infrastructure planning. Currently 155 miles of paved and unpaved trails, as well as bike lanes and shared vehicle/bike roadways, exist in St. George. The city’s active transportation planners have recommended increasing those to 344.5 miles over the coming years. The bike-share program is set to launch around January 11, Pike said. Short-term bicycle rentals are already available around town, at just about every bike shop. So, the nagging question is: “What unmet need will be addressed by this bike share program?”. St George has been successful in laying out their bike trail network over many years, and it is very popular for exercise. I would not be making an investment in Zagster based on SG’s program. The density of prospective users is tightly focused on such areas as the DSU campus, or IMHC campus. The good news is we enjoy exceptional weather for year-round biking! This is different than a short term rental; it’s a network. Renting from a shop requires you to return the bike to the same place. With a bike share system like this, stations are located throughout the city and you can use them to get from A to B. We’ve used the network in SLC many times. It’s a great way to get to different places in the city and have some fun. These programs are sun successfully all over the country. It’s a great way for locals and tourists alike to get out and enjoy a city. We’ve used the systems in Denver and Salt Lake and they work great. Zagster runs these programs quite well and the bikes are always in good repair. They work great world wide. I first encountered such a system in Barcelona and it was awesome. bikes do not belong on our streets they are a traffic hazard and most do not obey the laws putting auto drivers in jeopardy of hurting or killing them we don’t want to do that, so its very stressful for drivers to share the road with inconsiderate and careless bike riders. it is wrong to place us in that position. and don’t give me that crap about how hard it is to ride the trails how steep they are and crap why did you get a bike in the first place? let me guess—–maybe exercise! well how bout that. the city and county spend untold amounts of money on bike trails and you wont use them because there aren’t as easy as the road, how many more of you have to get hurt our killed before you realize its not a safe thing 3-20 lb bikes have no business mixing with 2000 lbs -80,000 lb vehicles.IS JUST NOT SAFE hate me all you want its the truth. I won’t hate you Mater, I’ll pity you in your ignorance. It’s hilarious that you think bikes are the problem. Getting in your car is the most dangerous thing Americans do. Cars and the distracted humans driving them are the problem for cyclists and themselves. I’d also like to clear up the “bike path” misnomer. It’s a multi use trail and is almost more dangerous than the road for cyclists. Runners with ear phones, walkers with dogs or kids, street corners where cars stop at the street instead of at the stop sign where the trail intersects, I can go on and on. Please try and dislodge yourself from the car culture myopia that is so prevalent in our country. Agree 100%. It’s interesting that virtually every adult cyclist is also a driver, so they see both sides of the equation and can easily see how a little caution and compromise work. But the vocal opponents are drivers who probably haven’t been on a bike since they were 12, if ever. They speak only from a position of ignorant self satisfaction. A main difference being that cyclists recognize the danger they create on trails for kids, elderly pedestrians, dogs, people wearing headphones, etc. So the cyclists seek to avoid causing that danger to others as well as themselves. Whereas you just figure it’s all about you, all the time.